We all have our favorite books from childhood—Corduroy, Cat in the Hat, Rainbow Fish, and Goodnight Moon. Now, thanks to a generous donation from a local community supporter and funding from Wells Fargo, children throughout Monroe County can have access to their favorite books, too! 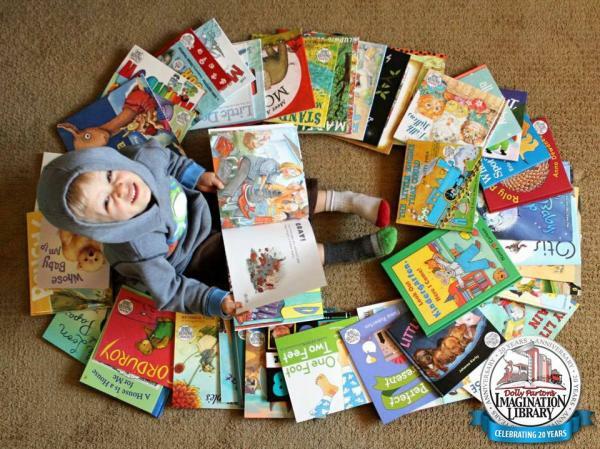 The Imagination Library project provides children from birth to age five in Monroe County, Florida, with an age appropriate book each month for the first five years of the child’s life. Each month, children receive their free book in the mail at no cost. Most books are in both English and Spanish. Each story has a different monthly theme and reviews important early life lessons—colors, numbers, food, and more! Twenty percent of children in the Florida Keys live in poverty with little access to early childhood education. By three years of age, there is a 30 million word gap between children from the wealthiest and poorest families. UWFK uses the Imagination Library to reduce this gap, helping children from low-income families to increase their vocabulary, language comprehension, and academic preparedness. Studies show that students who are proficient in reading by third grade are three times more likely to graduate and live above the poverty level. Additional research suggests early learning initiatives like the Imagination Library provide benefits to society of roughly $8.60 for every $1 spent. UWFK is incredibly thankful for the generosity of this program’s supporters! If you are interested in learning more about this program or signing up, please email us.